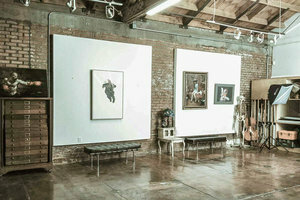 A 3200 sq ft creative and unique loft space with exposed brick walls, concrete floor and a very artistic feel. 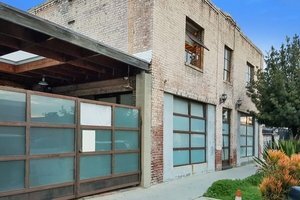 This is a creative loft style space with high ceilings, exposed brick walls and polished concrete floor. This space has a beautiful big bathroom with a standing shower and a kitchen area. There is also an indoor/outdoor area next to the building. 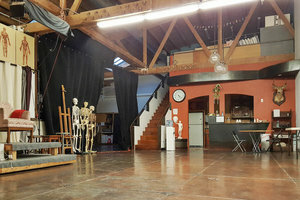 This space is currently used as an art studio mostly at night. It is conveniently located in the heart of Pasadena (5 mins walk from Old town Pasadena). Many great restaurants near by within walking distance.